If you're interested in this post, it's highly likely you suffer with hayfever, an allergy to pollen. 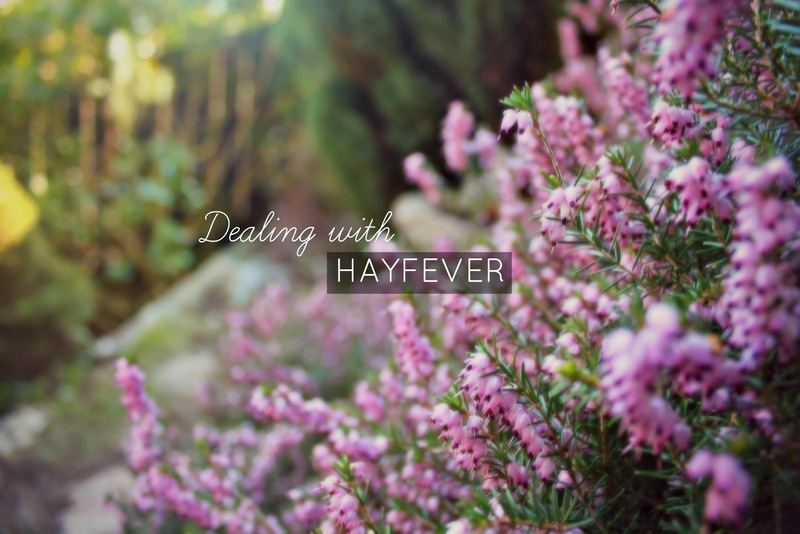 Ideally I would of had this post published in the beginning of Spring as it's the highest season for hayfever sufferers but I know many people are still suffering with symptoms especially those in the UK as there's currently some crazy weather. It's pretty impossible to avoid pollen in our lives but there are a lot of coping strategies that I've found helpful and thought it'd be a good idea to share with you, whether you'll be using them now or next year.. The most obvious advice I'm going to give is in regards to medical treatment, this includes nasal sprays, syrups, tablets etc. Some of these can be bought in regular shops but some have to be bought over the counter. I'd suggest doing research before purchasing anything as you won't want to waste money on a product that doesn't work sufficiently. In regards to medic treatment you can also purchase eye drops which can become a life saver for those hayfever sufferers who get itchy, swollen and sore eyes. You can use eye drops daily or just use them when youn start to feel irritation, the best thing about them is they're usually cheaply priced although they can be a nuisance to get used to, after all when is dropping a solution on your eyeball going to be easy? Drifting away from the treatment side it's important to remove any pollen that's on you, because pollen can get in your hair, on your skin and on your clothes it can then come into your house, into your bed and onto all your things which makes it harder to get away from it so you should ensure your hygiene is on a high. You can easily go all out and shower more than ever and wash your bedding frequently, but doing simple things like shaking of clothes when you come home and washing your face frequently can make a difference as you're removing any pollen that may have joined you on your walk home. There are also other factors such as keeping windows and doors shut (Using air conditioning instead), applying petroleum jelly around your nostrils to trap pollen and wearing sunglasses to prevent pollen entering your eyes. I also like to apply a cool compress onto my eyes, even if it's just two wet cotton pads. In regards to keeping yourself looking pretty I recommend a good waterproof mascara, tissues and less make-up, the worse thing is runny nose and tears giving you a patchy face!